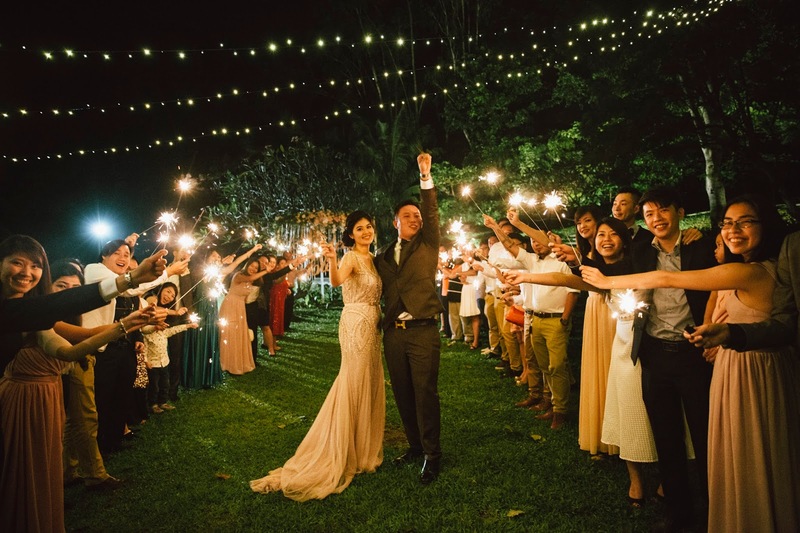 Issac and Charlotte’s wedding was the last wedding that we had in the year 2015 and what a great way to end 2015 with sparklers and fairy lights as the night falls. 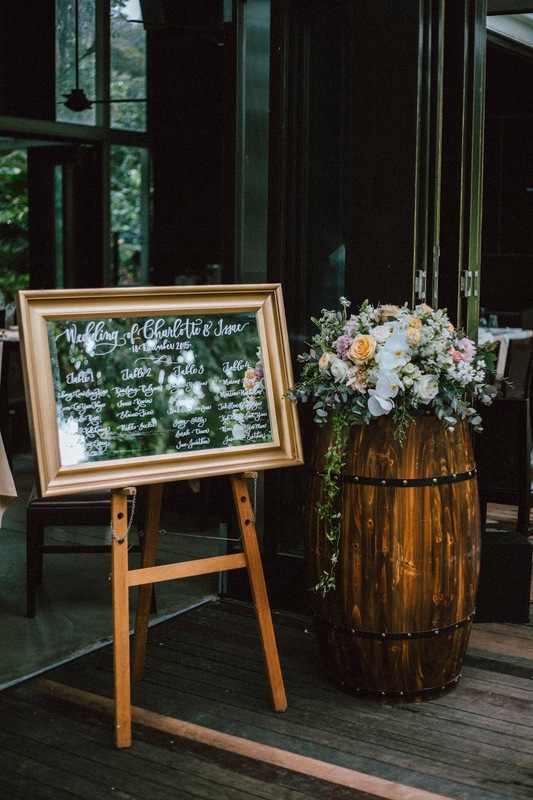 It was a breeze working with Charlotte as she knew exactly what she wanted for her wedding, a rustic theme for 40 close friends and family. The solemnization area was decorated with a beautiful arch which has the wordings “We Decided on Forever” hanging from the arch. Along the aisle were rows of white tiffany chairs with jars tied with lace and floral arrangement. 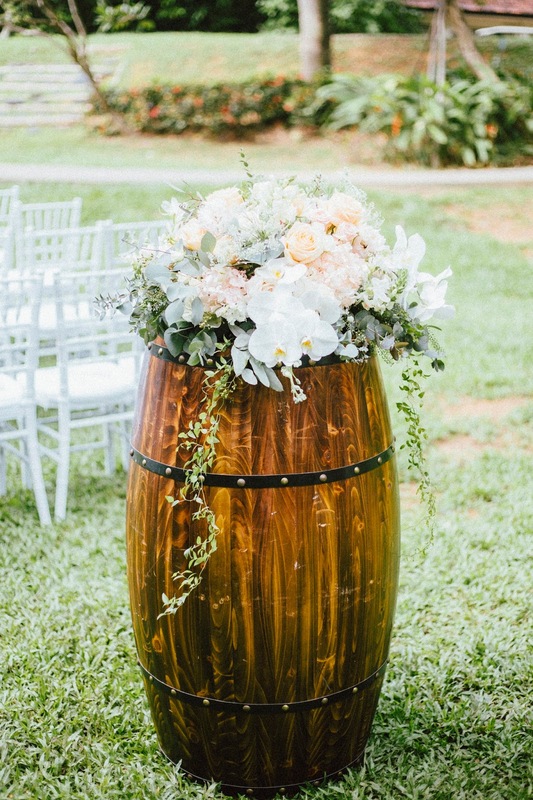 The entrance to the aisle stood 2 beer barrels with floral arrangement instead of the usual floral stands and also a transparent signage that says “To Love, Laughter and Happily Ever After”. 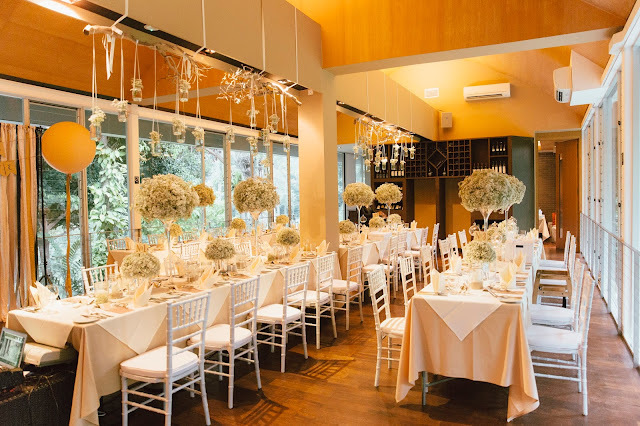 The dinner reception was filled with lots of baby breath, from the dining table with tall vases of baby breath arrangement to the hanging baby breath above the table. 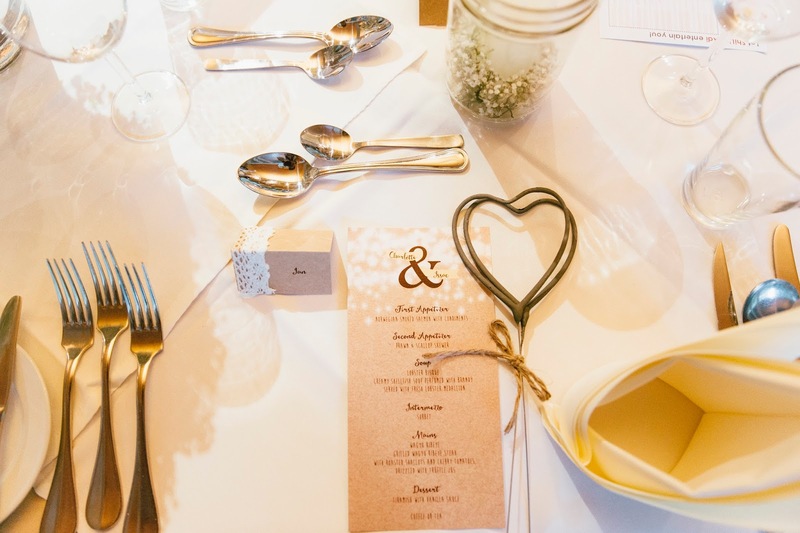 Each guest is welcomed to the table, their own place card, menu card and a pair of heart shaped sparklers fully conceptualized to meet the rustic theme. The only 2 kids on the guest list aged 1 and 5 years old had a special box of goodies that we have specially prepared to keep them entertained throughout the dinner. 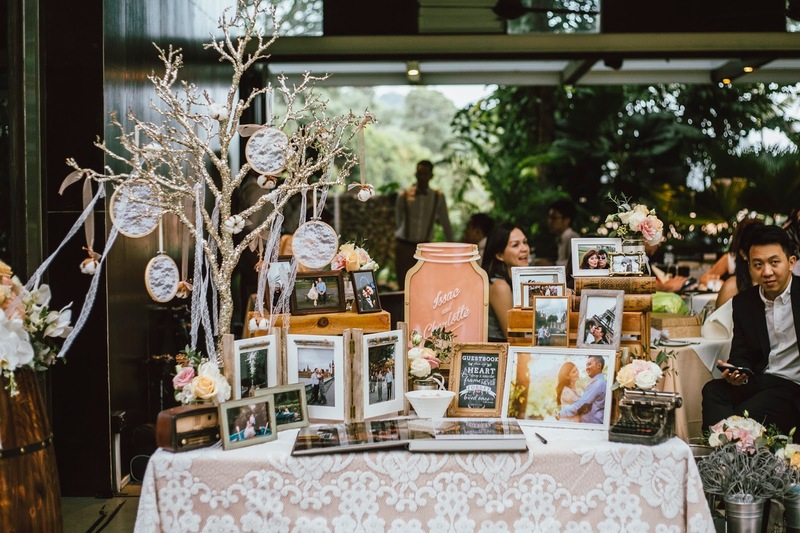 The photo display area was also decorated with wine crates, photos, cotton flowers and props to bring out the rustic look. 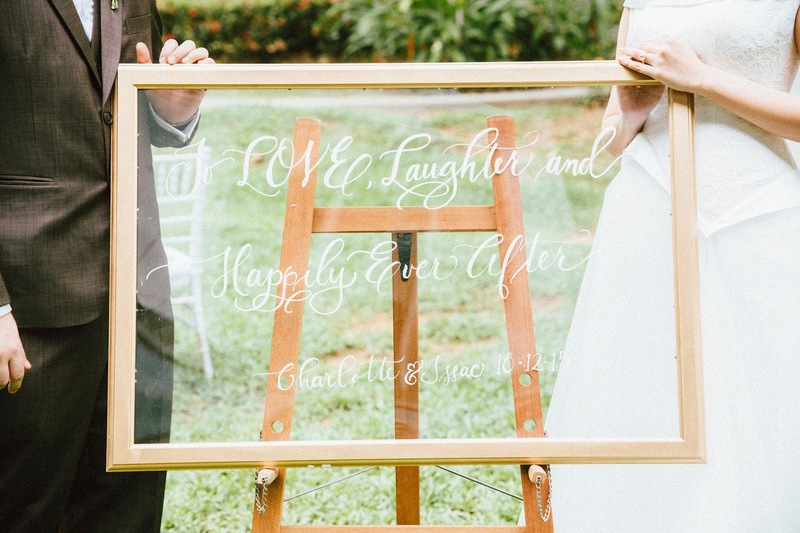 A seating plan with the guest names written on a mirror was also one of the highlights of the wedding. 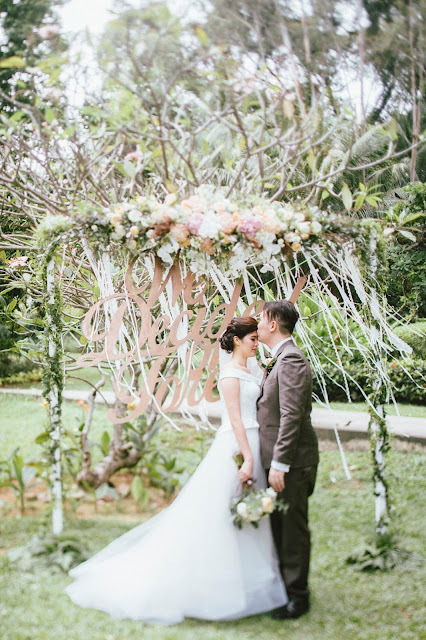 A tree next to Suburbia was transformed to an area for photo taking with hanging lace loops, cotton flowers and loads of organza ribbons and lace ribbons! The wedding ended with the guests lining up to form an aisle with sparklers on their hand as they send off the couple with a blast! 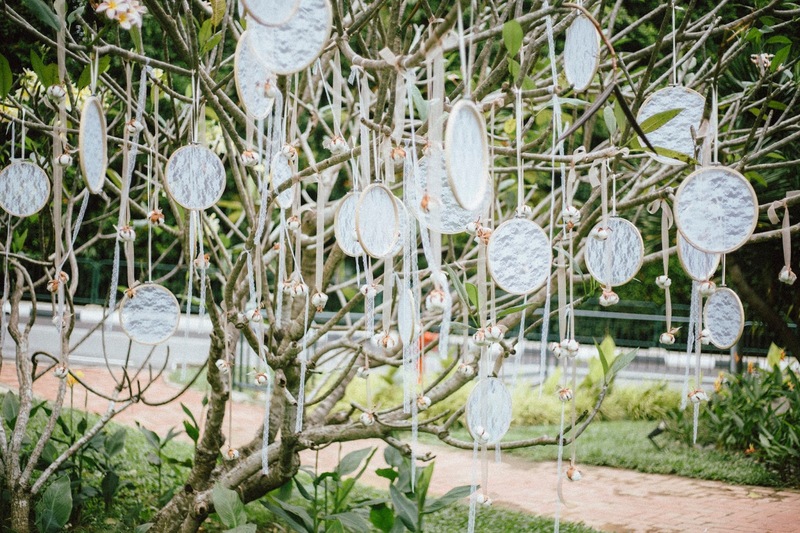 We look forward to working with you to realise your dreams for your wedding soon. Send us your wedding details at http://www.hitchedweddings.com.sg/contact-us/. Talk to you soon! The beauty about this place is that they give you a somewhat blank canvas where you can create the wedding you envisioned, etc., which will be different from others. The staff at San Francisco wedding venues is incredible and professional.